Additional to the thousands and thousands of soldiers in uniform who were stationed at Clipstone Camp, in 1918 there was also women in uniform. Members of the WAACs (Women’s Army Auxiliary Corps), and the NAACB (Navy And Army Canteen Board). To date  very little documentary evidence on either of these groups has been discovered and no photographs have been discovered of WAACs, either at the camp, or in the Mansfield area. 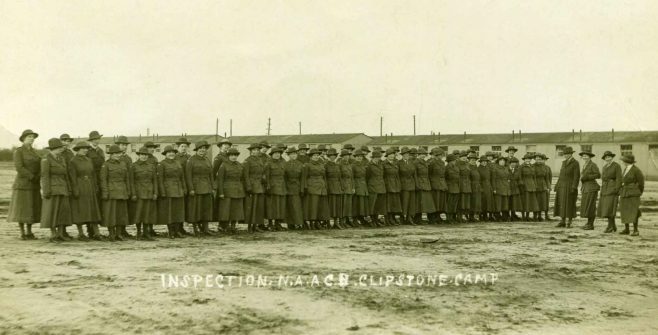 However in 1918 local newspapers did indicate that hundreds of WAACs were expected at the camp, and one or two are listed in local marriage registers with their address as Clipstone Camp. NAACB (Navy and Army Canteen Board). good wages given, references required. 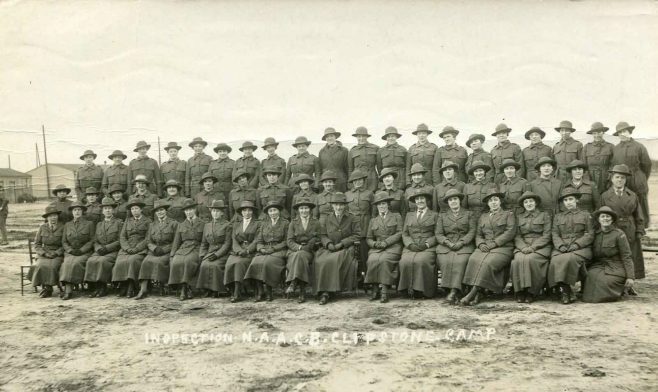 Three of the ladies in the photograph below are wearing identical clothing, the other could be their supervisor, who is believed to be Ada Langford, but to which group of uniformed ladies they belong to is unknown. 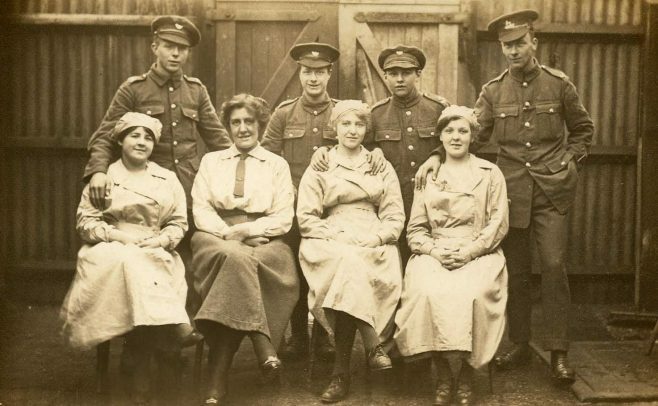 All that is written on the back of the picture is ‘Christmas 1918, Clipstone Camp’.